It was then that she explained that what we were doing–was being the church. The modern church, she went on, incorrectly promotes the idea of a personal Savior or a personal Jesus (anyone remember a certain Depeche Mode song?) How often have we been told that it is our personal relationship with God that matters.? How many times have we heard that it is our own faith or our own walk that we must focus on and cultivate? The sinner’s prayer promotes this very idea and as soon as it is prayed, new believers are inundated with the individualistic ideas of a daily quiet time, personal prayer time, personal accountability, and the like. It becomes all about “me,” not us, and certainly not us in Him. And as my friend spoke, I felt the truth of her words capture my heart. “Yes!” My spirit cried out. Our faith is not our own. Our walk is not meant to be walked alone. Your relationship with Christ is so much more than just Him and you. As Viola goes on to explain, when we say yes to Jesus and we receive Him into our lives, we are not merely receiving a personal Savior, but the very relationship that Jesus Himself has with the Father. Everything that Jesus has, is ours! Everything available to Him by the Father is available to us. When the Father looks at us, He loves us as He loves His own Son. This is not just some “me-and-Jesus-are-BFF’s” kind of revelation. This is something much more. Much bigger. Much more profound. Because each one of us shares in this new relationship. This is meant to be experienced corporately as well as individually. Dare I say, almost more so. The very nature of the church demands that it be expressed corporately, lived and shared together, in communion with Christ as Head. Jesus said we are His body–not just an arm or a leg, a hand or an eye. We are all members meant to be living in love and unity to express Him more fully. My Christ is your Christ. My suffering is your suffering. My joy is your joy. My revelation your revelation. My life your life. In Christ. And in Him alone. What do you think? Do we fall prey to thinking of Jesus as a personal Savior? Is this good or bad? What is your church community like? This column really makes me think about the whole idea of our salvation and relationship with Jesus. So many years I always thought at “personal relationship” with our Savior was key. I never thought of the phrase or idea as a self-centered, self absorbing focus away from sharing and connecting with other believers. Funny, we’re talking about on one of my Facebook accounts about our way of coming into the Body through faith in Jesus (i.e. our “born again” experiences–or lack there of. ) I came to Christ through the 700 Club back in the late 70s (I know cheesy). But Jesus met me in the bedroom of the projects so many years ago and it was life affirming. His presence is so real and so close to me like my very breath. But I guess this connection shouldn’t be a “yeah me, its Jesus club” kind of thing. Trouble is I feel like I”m the only one in Ohio who knows of this. Anyway, thank you for bringing such insight out in the open and I hope to share it with others. You should definitely read Mike Wilkerson’s Redemption. Part of what is talks about is that we as Christians are a part of God’s story. We like to think God is a part of our story, but it’s the other way around. He’s the center not us. Thanks for the recommendation! In Francis Chan’s book Crazy Love, he expresses the same idea. He likens the story of Christ to a movie, in which Jesus is the main character and we are all the extras. The movie is not about us. So humbling and so true. Thanks for sharing! I hope you are well. I wonder if this is a product of American Christianity? We are all individualistic and everything. We seem to promote the idea of America/Christianity, so it makes sense to me. It is quickly becoming a world wide idea because we export our version of Christianity to developing nations. Ouch. You are sadly correct, Ken. Very true. My family and I relocated to India from the U.S. last fall and a majority of the churches we’ve seen are under the impression that the size of the church building is equal to the size of God’s blessing on the church. It makes me sick to my stomach when I see how much time is spent fundraising to build and maintain their buildings. I’m praying for freedom for believers and unbelievers alike. I agree. I think it has its roots in American chrisitainity. And (as Ken says so eloquently), the influence we are taking to other developing nations. Shame! Great post, Nicole. It may be true that “all I need is Jesus,” but that includes the Christ in my brothers and sisters as well as the Christ in me. Eddy – you are so not the only one in Ohio! I am a part a house church (+/- 30 people) in central Ohio. They’ve surpassed my biological family in closeness and I come from very a tight knit family. There are hundreds of groups like ours which makes thousands of us. We have sister network in Cleveland and Dayton. Maybe Cincy too? Are you in any of those metro areas? It’s 50 miles round trip for me to go to my church, but I don’t let that stop me. When someone explained John 17:22-26 to me, I was startled. Jesus prayed that we (Christians) have the same kind of relationship that he has with His Father. Really let that sink in. That’s INCREDIBLE! Ha, funny how that whole renewing of your mind thing works! My commitment level went up a few notches. It would be bizarre say to my husband “I commit to you in the spirit, but not mind and body”. Likewise, committing to Jesus in spirit only is incomplete. We need to commit to his body. Great point Matt. I completely agree. I’ve seen so much scripture out of context and applied to “self” that is sickening. Excellent point! We tend to use so many verses meant to admonish or equip the nations or the Church as a whole, for strictly personal application. I had not considered this. Thanks for sharing! I super thankful to hear you are a part of shared life community. As we express Him as His Body, we are then able to be “saved” from this world. It may be controversial in the institutional environments, but His Life shared is His Purpose. I may be able to find Him individually or corporately, but expressing Him is definitely a corporate opportunity. Salvation, Discipleship, Life, Righteousness, Armor…all of these things have a corporate opportunity. If we allow Him. Again, thank you for your voice on this myth. May those with ears to hear be encouraged. 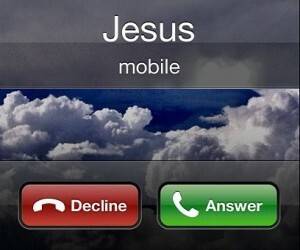 I don’t see the problem of calling Jesus our personal Savior. I believe that looking at it in context reveals that all a personal Savior means is that He saved me, “personally”. It’s about what Jesus has done for me. It’s just a way of personalizing it and making it speak to the individual instead of to the crowd. I personally think it’s okay to still call Jesus a personal Savior. I think as Viola points out, the term “personal Savior” has become so pervasive that many Christians view it as scriptural. The problem is, it isn’t. By using this term so frequently, we perpetuate the idea that Jesus is “ours.” That He somehow belongs to us. I think much of this individualistic thinking has prevented the church from growing exponentially and through the vehicle of discipleship, as it was intended. And why would we want to “personalize” Jesus instead of speak to the crowd? Isn’t He just as available to the crowd as to the individual? Jesus ministered to the people one on one, but also to crowds. He isn’t the Savior of the one, but of all. In this instance, I think the language we use matters. I really like your articles. You say what I am thinking. God’s love is to be trusted and shared within the entire fellowship/ body. We are all branches from the same olive tree. But, without the body of the tree there would be no branches. Well-said and what perfect imagery to add to the discussion! Reading this makes me understand more of what I was looking for in high school. I was obsessed with my youth group and trying to find more out of it. Even as I got older, sometimes church can feel so lonely. My family and I have moved a lot in the past few years and have had a hard time finding a church or getting really plugged into the one we like where we are currently living. Most interestingly in my experience I have found that when I did have a group of believers I could talk with, pray with, and be in community with made my own private time with God easier. I look forward to both!! Losing the community eventually made it harder to keep up with the private time I spent. I wonder, what are your thoughts on what someone should do when it’s not possible to be apart of community? Amen to that sister! I must confess that my privatization of Jesus is something I am dying daily to. It is so easy these days to reduce Christ to a PC (Personal Christ) that we forget to be awed by his person and beauty and not just his function in our lives. Maybe I am not reading other parts of the post right, Nicole. So you can help me out. Are you saying the two might be mutually exclusive? Can personal transformation not also lead to communal transformation, and communal transformation lead to personal transformation? Aren’t the moments where we experience Christ in silence and solitude equally as important as the moments we experience him in community? I believe that followers of Christ must live faithfully in that liminal space where faith is deeply personal but also radically communal. I so agree that it’s about OUR relationship with Jesus and not just MY relationship with Jesus. But, something that I have found is that if I’m not nurturing a relationship with Jesus that goes beyond the time I am spending with other believers, I come having nothing to offer others. No encouragement. No personal encounters to share about and encourage others in. The Holy Spirit’s movements become more dim and harder to decipher. I think it’s a both/and instead of an either/or type of thing. Jesus had time on his own with the Father– away from the crowds. I think that discipline of solitude/silence is vital to the wellness of our soul as well. Just some thoughts! Great post to get people thinking and discussing! “if I’m not nurturing a relationship with Jesus that goes beyond the time I am spending with other believers, I come having nothing to offer others.” Love this. Well said. I appreciate your observations, Nicole! However, calling Jesus being a personal savior a “myth,” in my perspective, overstates it (and maybe that is done on purpose for effect?). To me, this is another one of those both/and issues. Not one or the other. Jesus is the savior of the world (corporate), and He is also my savior (personal). No doubt our extremely individualistic culture has way over-emphasized the personal part, and underdeveloped our understanding of/embrace of the corporate aspect. So, we (as Christians in this culture) probably have to spend a lot more time exploring this, so we can correct the balance. However, the “personal,” Jesus-and-me aspect should not be thrown out! And to say that this is only a recent, modern, western concept is inaccurate, I believe. One needs only to look to the mystics through the ages to see this….St. John of the Cross, Theresa of Avila (1600’s)….even way back to Augustine. All of these and many more explore the deeply intimate connection that each one of us has with our Creator and Savior. Looking to Jesus in Scripture, He interacted in deeply personal and intimate ways with individuals….to the woman at the well, He revealed intimate knowledge He had of her (she had “five husbands”), and this had a great impact on her. The man/God really KNEW her! Anyway, my point is….yes, we are right to discover/rediscover the ways in which Jesus is our collective Savior! But we need not–dare not–discard the beautiful truth that God is “closer than a brother” to each one of us, and the depths of that intimacy cannot be fathomed. It’s a beautiful mystery. You have hit on the plague of individuality that permeates the Western world. We are self-made people. We hunger for some tiny way to be a uniquely famous. People know our name because we are the BEST at something even if it is stacking Q-Tips. We just had this conversation in our family church time. And I had a reader reference the same Depeche Mode song in a comment this week too. Great thoughts. Christ is not mine to keep and take home when I have an argument with my fellow brethren(sort of taking my ball and going home). Christ is ours. One body, many members, Christ as the head. To many, the idea of a personal Christ speaks more of an image of personal genies. If we are the body of Christ, He works through us. Think about this. I have a head with a brain (how efficient that brain is running is arguable) but my brain doesn’t do the work. My brain communicates with the body, but the body does the work. No one member does all the work. Sure, you want to give credit to the legs for walking, but without the back, you won’t walk. Without the vestibular nerve inside the ear (tiny) you couldn’t remain balanced (this comes from someone who gets ocassional vertigo attacks). So the body is only effective when it works in sync. No one member gets to have the brain all to itself. Whenever I have those “blow my mind” moments with the body, when it’s in sync and we let Chris work as His Spirit leads, we see amazing things. I wonder if this is why so many people don’t believe our Jesus. They are presented with different “personal” versions instead of the risen One that works through His body. Corporal unity is needed more,and personal Jesuses, are needed less. I understand your point, and I agree that faith should be lived out in community… in addition to our own personal connection to Him. To play that down or make people feel bad for pursuing knowledge of our Savior is a grave mistake indeed. He IS my personal Savior. He IS your personal Savior. I delight in knowing that He loves us individually and also when we come together in His name. It’s those alone times that enrichen my bond and are later reflected in healthy, loving interactions with my church family. I love when people explore their relationship with their God and seek Him for they fall (me included) deeper in love with Him. Jesus had many moments with His friends and disciples, but He also had beautiful moments alone with His Father. Same thing with Paul. After his dramatic conversion he was away from the body in Damascus (&surroundig areas), learning about the Lord; he is the same man who would then be used by Him to teach to and love the Body. I appreciate what you write and send out into the blogosphere. Lovingly and humbly, for I am not perfect, I caution against maligned anger. Sometimes we preach to the choir, so to speak, and we come across as very judgmental and angry. I advice balance, words that honor Galatians 6:1, and to remember His Grace. His Grace flows from Him, through us, to the world. In no way does admonishing a person to see Jesus as the Savior of the church undermine Him as the Savior of the individual. I never suggested that it does. If you have read this blog at all, you will see that I greatly value my relationship with Jesus on a personal level, but I also greatly value Him in the context of the body as a whole. More and more, I have come to realize that the two cannot be separated as the American church often tries to do. My hope is for us to view Him as both, not one or the other. Very nice and well said. Couldn’t agree more. please pause before judging my relationship with Christ. Jesus called his disciples to ‘go out’. That means more than this post implies. Great post, very helpful for all to see that we are His body, therefore community helps to express the beauty of our Lord Jesus Christ. This is very interesting. Although I agree with you on most of this article, I still have to admit that an intimate relationship with Christ is still the most important, yes, even above relationship with the body of CHRIST. I’ve been in situations where I focused more on building relationships with the people rather than the SAVIOR and it was exhausting. It wasn’t until I tuned into CHRIST and spent “alone” time with HIM, that I understood the importance of bearing one anothers burdens. It was then CHRIST working in me. Relationship with one another is extremely important, but men will fail you, HE never will. Personal and intimate relationship with CHRIST will always be the most important. You will never walk alone in knowing that. Thank you for sharing your thoughts and heart on this topic. If you had asked me 5 years ago, I would have agreed with everything you wrote here. I would have explained how my personal relationship with Jesus was responsible for growing my faith, understanding, and fruit in the Lord. Now, however, having lived for 2 years in an organic church family I cannot say that. I now know what is meant by the “Body” of Christ. When we read the descriptions in Acts of the early church selling their possessions, sharing all things, living life together, to the glory of Christ, I get it. Because I am living it. And never before have I experienced more fully the nature, mind, heart, and touch of Jesus Christ than in my church family. Why? Because it is a more full expression of Him! If I am just a hand, how much of Jesus’ Body can I experience alone? But if I am surrounded my other hands, and eyes, and legs, and feet, and the ears of Christ, well then I am more fully experiencing Him. Yes, people fail us. No one person in my church is perfect or without flaw, but that is the imperfect yet fully glorious family that Jesus invites us into–where do not HAVE to walk alone. Thank you for sharing with us Nicole. You have definitely given me something to think and pray about. Your viewpoints are always very interesting, informative, and out of the box. I really respect that about your writing. You made my observation into a beautiful revelation. This post made it even more clear in my heart! My one on one time with The Lord is ALSO not just meant for ME. It equips and renews me to go minister to the rest of the body. So even the “individual” part of our walk with The Lord is not as individual as we might think. Yes! Another awesome point that I think I was trying to make, but didn’t. Thank you for helping to inspire this post and for meeting with Jesus so that you might minister to the saints. This makes me think of an infinity loop. One side being your personal relationship with God restoring you and feeding you to pray and lift up your community and the community on the other side lifting you up and praying for you and feeding you (from God through the community) to know and hear God in your own life. A constant back and forth of giving and hearing from God. I love it. What a great visual. Being filled up so that you can pour out and being poured into so that you overflow. I think YOU’RE the one who has fallen prey to the hive mentality so prevalent today. Of course you have a personal relationship first. What, did Jesus call you WITH the Baptists or the Mehtodists? You all had this group salvation? Jesus didn’t for The Group. He died for you. I know you’ll all be horribly shocked and dismayed at such old fashioned thinking, but I don’t care. Jesus didn’t call you according to someone elses walk. He did not call and love you because you’re part of the Borg. He sees one single bird, knows the count of every hair on your head. You make a good argument for women keeping silent in church. So no, this is not awesome, I did not enjoy it and I won’t be subscribing. You aren’t part of a 501c3 church by any chance, are you? Oh my, you really put a whole lot of words into my mouth. No where, and I mean no where, did I suggest that I do not have a personal relationship with Christ. Nor do I insinuate that Jesus is somehow not a personal God who does not care about me…or you, for that matter. You seem very angry and accusatory which I find quite telling. My thinking here is actually not old-fashioned, as you suggest, except to say that it is biblical. The term “personal Savior” is not scriptural. That is not to say that it is somehow untrue. Yes, Jesus died for my sins. But, he also died for everyone elses, as well. More than that, He does not simply exist in a personal vacuum for the individual believer. If He is an infinite God, how very naive and self-centered for us to believe He only belongs to “me.” And if He is an infinite God, wouldn’t it follow that He cannot be expressed through only one person, but rather must be expressed the multiple members of His Body? If we live life shared with other believers, as is modeled in the Bible, then our personal relationship with Christ spills forth into that Body as well. We share in the wholeness of Him. He is my Lord, but also *our* Lord. As an aside, no I am not a member of a 501c3 church. I am a member of an organic church family of 30+ people who meet in a home, where no one is a head pastor, but rather Jesus Christ reigns as Head, where each member participates openly using their gifts, where worship is spontaneous, and Jesus is glorified. Nicole, here you are trying to put God/Jesus into a box and imply that you fully understand him. You are limiting Him. “He does not simply exist in a personal vacuum for the individual believer” and “if he is an infinite God, wouldn’t it follow that He cannot be expressed through only one person..” This is all so limited and blind. God did express himself through ONE person – Jesus, but He was also present for everyone else. To imply he can’t be both, or insinuate it’s not possible, is to claim you have more knowledge on who he is than anyone else in the World. I truly believe He can be both. He can be here for me when I need him individually and He exists for me, for my salvation personally, but He also exists for the salvation of everyone else. There is a trinity here. They all work together. I am saddened by this comment and very disheartened that you seem to believe in some sort of limitation of Christ, God and the Holy Spirit. Also, in response to this comment, Jesus is glorified in my church, in my prayer, in my growth just as he is with anyone growing in Him. The key word here being growing. When you limit yourself, your community, your group and your education – you therefor limit your growth. I challenge you to open your mind and imagine that there is more than one proper way to worship Jesus or to open your mind to accept the possibilty that perhaps your way isn’t the only way. In doing this, you will experience so much more love for your fellow christians and love for the church (any church) because you understand where they are coming from and what they are trying to accomplish. Building communities in Africa, churches, ministering to those who have not heard the word, distributing Bibles, volunteering, opening their doors and ministering to the troubled youth, teaching Christians to be more than they are, to believe in Him and live in Him. Jesus said Love is the greatest gift of all – unconditional love – and I believe you have that for those in your group… but in re-reading your blog post, are you expressing love for all? I didn’t feel it. That is my challenge to you. Also, Jesus is the head of every church I have been a part of. I was a witness to the wonders of his works. I could see it in the pastor, in the body of the church, I could see it in the baptisms, they community, the evangelism, in what they did together. And yes, there was a head pastor but he is/was led BY Christ. To say anything less, is to try and take away from my experience by making it seem less than and it is anything but less than. It is/was amazing and I saw Jesus EVERY DAY!!!! To your second comment, you are so very defensive Tiffany. You asked what my church was like, well actually you assumed that you knew and made a snide remark. I answered you and told you about my church—and you translate that as me attacking your church? My challenge to you Tiffany is for you to not take offense. This is not about you. This is a discussion about a blog post. While I appreciate your comment, I have to disagree. Jesus calls the church “His Body.” He says this of Himself, and in stating this, He is very clearly telling us that we (individuals) are a part of that Body. I find it very difficult to disagree or argue this away. Secondly, how is it close-minded to state that Jesus cannot be expressed through one person? The very statement is the opposite of that, in fact. I am suggesting that because He is an infinite God, it would reason that He must be expressed in an infinite number of ways–which cannot happen in one person. Your logic falls apart when you then follow this reasoning by stating that God did express Himself in one person: Jesus. Well, yes of course, but that is not who we are talking about, is it? We are talking about Jesus expressing Himself through US? Through the individual believer. And I beg you to re-read my post because in no way do I suggest that God is not infinite, omnipresent, and available to all believers. I find it rather alarming that based on two sentences (taken out of context, I might add) you were able to make such a wild leap in logic. Not to mention, put words into my mouth that I never said. I also NEVER said that there is “one proper way to worship Jesus.” The sentence you already quoted from this post actually says the opposite of that: ““if he is an infinite God, wouldn’t it follow that He cannot be expressed through only one person..” So again, you have lost me. My expression of love to my fellow saints is this: God does not want us to experience Jesus only in and of oursleves. Because of His great love for us, care and concern for us, and heart of a Father, He desires us to also experience Jesus CHrist in a community because Christ does not belong to me…or you, for that matter. He belongs to the church–all of us, collectively, living lives together, surrendered to Him in community, working as His body, and unto His glory. No snide remarks here. and I don’t think it I am the one that is being defensive. I think your definition of community and mine are very different from each other. but yes, he is my Jesus because he would’ve died on that criss even if it was to save only me. Can I ask, in all sincerity, what your definition of community is? Because I don’t feel as though you clearly stated it here. If not, and you’re tired of this exchange, I completely understand. and ps Jesus is God and God is Jesus so your logic falls apart in this comment… ??? Great article! Jesus isn’t our BFF, he somehow becomes our brother, even though I would never be arrogant enough to make the claim if he didn’t make it first! You and I are sisters in Christ! Isn’t that awesome? What starts out as an individual event with an individual person, justification through Jesus Christ, knits us together with other believers, other brothers and sisters, so that we can exercise mercy, grace, kindness, forgiveness, and other spiritual muscles in community. And each community has a different set of marching orders, meaning your church is fulfilling God’s work in a way that looks different from the way my church is fulfilling it. And that is the glory of God, how He coordinates everything for the good of all. I think I could have joined with you & the women of your church … asking the same questions! I’m reading Crazy Love now & realizing that I have been irreverent in my interactions with God – personalizing him so much as to treat Him without the reverence He deserves. I love the personal aspect of my relationship with Jesus but I’m a hyper-enthusiastic cheerleader for the corporate side of it, too. I find great comfort and courage in the knowledge that I share the same Spirit with my friends and family on the opposite side of the world, and the Lord can speak to us about the exact same thing at the exact same time bringing us together. We are not divided or limited by space. This really encourages me in regards to my two oldest children (18 & 20) who still live in the U.S.
One reason why so many believers experience burn out is because when they read the scriptures they read that they should be doing abc….through z with an individualistic mindset. I know I did. I’m so thankful the Lord taught me that taking care of widow’s, orphan’s, the poor, the sick, the enslaved, the etc…is fulfilled corporately when initiated and empowered by God. The brethren consistantly need reminding that we are united in one body, one mind, one Spirit, in Jesus. Just like the pinky toe can’t possibly fully express and accomplish the intentions of the mind, neither can one person do the same in regards to Jesus Christ, the head of His body, the church. I understand the gift of the church, and the support given/needed to stay present in peoples minds in this crazy distractive world. but the simplistic personal jesus phrase is really about jesus being in your heart. to remind you of that. that he lives there, if you have invited him in. your body is his body. he is there to support you (and not to imply that he is not in other persons bodys to support them). he is everywhere, and most importantly in the veins of your sisters/brothers aka church family although not limited to that of course. he is in all that take the choice to welcome him in. my favorite phrase lately is if you want to get to be close with jesus you have to spend some (quality) time getting to know him! Been reading for quite some time, have almost commented on some occasions, but decided to keep my proverbial tongue in my proverbial mouth. Haha. I love the fact that you throw some interesting thoughts and challenge me, and others, to THINK about our faith. After reading this post, I was completely on board with your analysis and challenge. Yet as I read through the comments and then reread parts of the original post I think I need to call you out on something, as a brother in our LORD of course. :) Also know that this isn’t a one time issue I’ve found with your writing, but something that has been an ongoing concern and was really highlighted to me in this last post. I love how much you love your church! It is truly encouraging to see someone who loves being a part of a gathering of the Body and wants everyone else to experience it as you experience it. That said, I think you often hold up your organic, not sure what your definition of that is though, church as the BEST (and often, only) way to be apart of the Body of our LORD. I get the sense that you often speak out of your, I gather, poor experiences in “traditional” churches. While I cannot speak to those experiences, your words often come across as condescending towards those who are attending “traditional” churches and often very elitist. As if those of us who have not attained, as if the Body is something to be gained, a gathering such as yours are somewhat missing out and not experiencing the fullness of the Body, as you seem to be. I have at times been in gatherings such as you explain and I can say without a doubt, it is delightful and a joy. It is wonderful to gather with our brothers and sisters, caring for and being cared for the way you describe. Yet I do not think it wise to define God’s movement best ONLY in the gatherings such as you describe. (I obviously mean the smaller “organic” church gathering, not the varied ministries of the Body) This is arrogant and proud. Not one of us can say, “This is THE way the Body is supposed to work”. Christ is fully in charge of His Body and is growing it the way He wants to. I have often been blown away by how powerfully Christ works through a “traditional” gathering of His Body and how ineffective the “organic” ones seem to be. Obviously that statement is a two way street. Granted, it is much easier to foster authentic community in smaller gatherings, but to talk about one’s community as THE Church, and THE way to DO church, is foolish and can be damaging to other gatherings where Christ is fully at work, just not in the way you are now experiencing it. I would encourage you to ask our Father to reveal this truth to you and am confident that He will show you the most excellent way. You and your words are often an encouragement and a welcome challenge to my faith and I appreciate them very much. Thank you and God bless. Despite what you assume, I have never been burned by traditional church. I didn’t leave angry or bitter. Quite the opposite, in fact. What I will say, however, is that the community I live in is unlike any church community I know of…and I know thousands of believers. I have also attended and been a part of dozens of churches. Is it the best? No. Is it the fullest representation I have seen of saints loving one another, sharing their lives, regarding one another as greater than themselves, and glorifying Jesus as the Head of the church? Yes, it is. I say this not believing it is perfect or the answer for every believer. I say this out of my own conviction and experience, my own heart beat and joy. This is neither arrogant nor proud, as you suggest. More minutia that infant Christians can pick at; majoring on minors and minoring on majors! In the final analysis He is “our guide even onto death” and we “each work out our own salvation w fear and trembling”. It is a walk w Christ not the people around us. No one hangs on the cross of your crucified life but you; and no one hears His voice directing you but you. It is a personal walk w a personal Savior and everything else is just semantics. on a blog or I have something to add to the discussion.